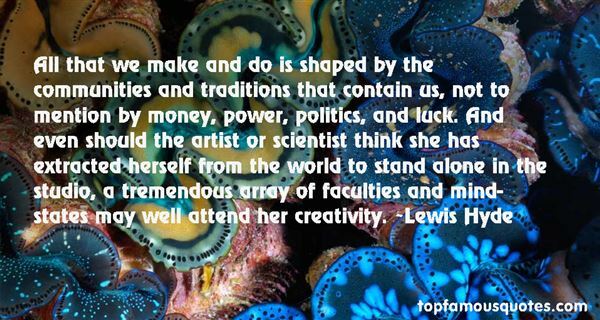 Reading and share top 10 Lewis Hyde famous quotes and sayings. 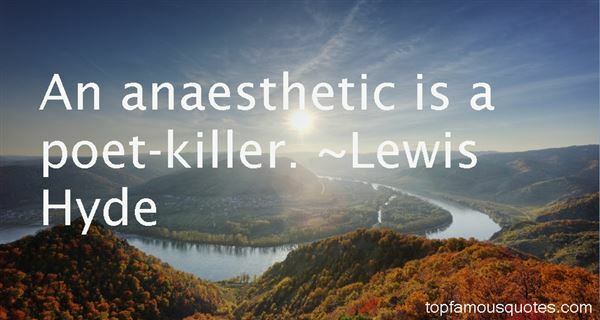 Browse top 10 most favorite famous quotes and sayings by Lewis Hyde. Why do you want to keep this beauty for yourself? Why don't you want to share it? The world is made of shared grace and harmony. Look at the sun shining, at the bees flying, the flowers blossoming. What would happen if they were ashamed like you are? No beauty would be revealed. We would live in an eternal shadow of what could exist." 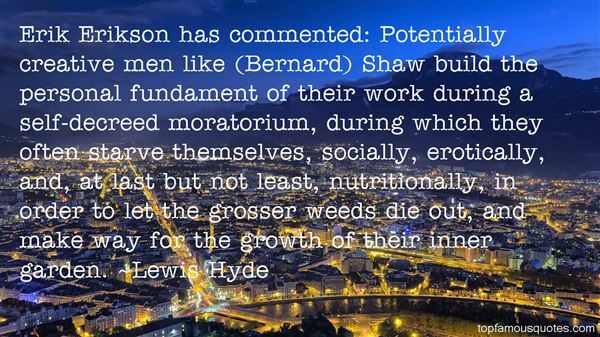 What Did Lewis Hyde Talk About?